Welcome to our first issue of The Chalkboard by Teach Starter. 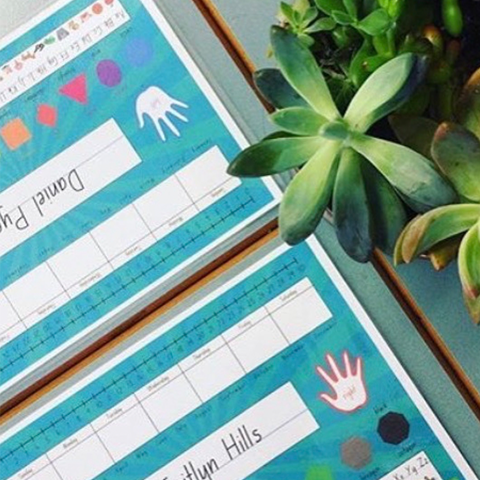 Our goal is to provide you with inspirational ideas to use in your classroom. So, sit back, relax and enjoy some easy reading! Question prompts to use when asking questions before, during and after reading with your students. A set of fiction and non-fiction questions are available. Choose between a spinner, dice or simple table and worksheet. 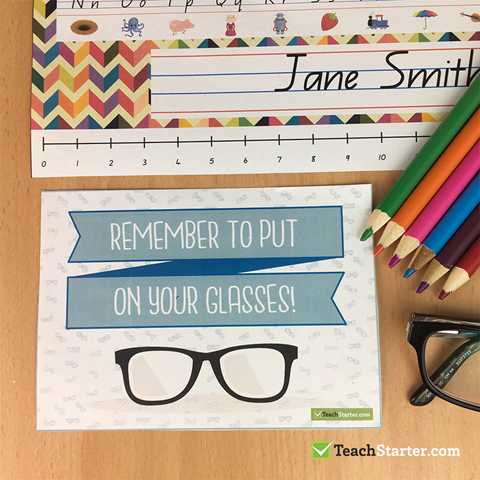 How gorgeous is this little desk reminder for your students who sometimes forget to pop on their glasses? There are a few different design options - just the glasses, a boy wearing glasses or a girl wearing glasses. Cute! 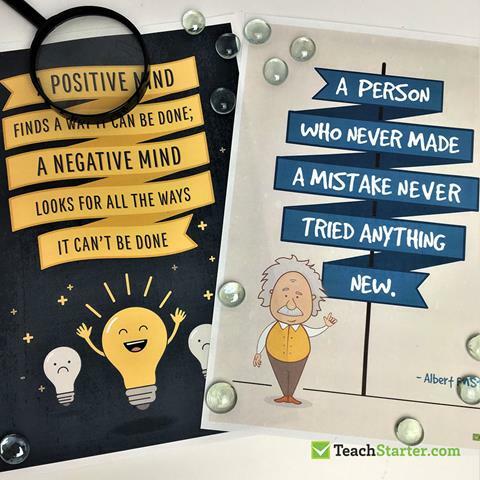 Our talented designers have added a number of gorgeous motivational posters to our growth mindset collection. These two are FREE downloads! 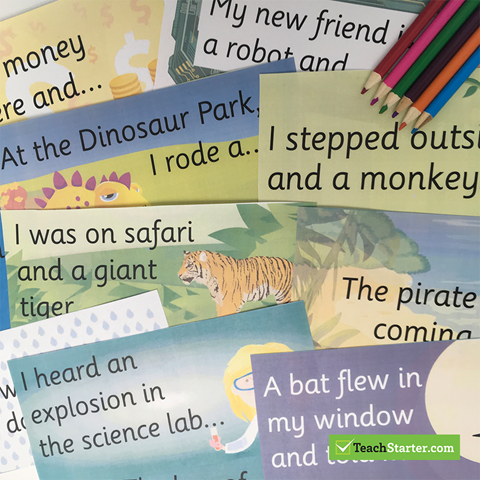 Have you heard about our amazing narrative sentence starter cards? 30 different sentence starters to inspire your students to write an imaginative narrative. When you look at the research, there are pros and cons for both sides of the argument. Some people believe it is a waste of time and there is no benefit to their students. In my experience, I believe that including small group rotations in your classroom allows you to work with smaller more targeted groups of students. Providing time for you to deliver instruction appropriate to their knowledge. 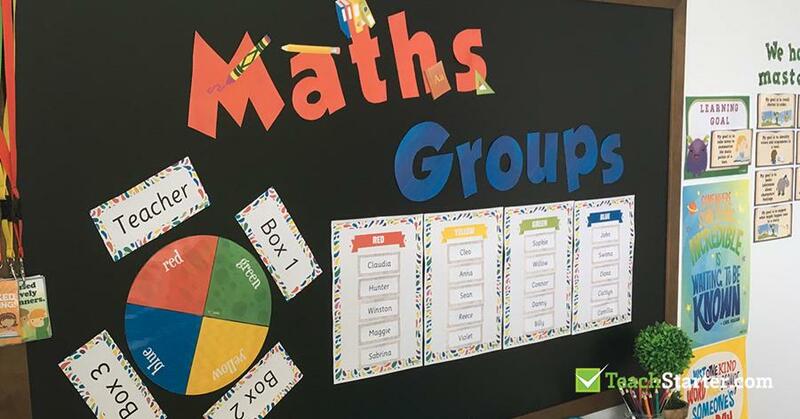 Check out this blog for how I managed maths groups in my classroom and a list of suggested teaching resources. 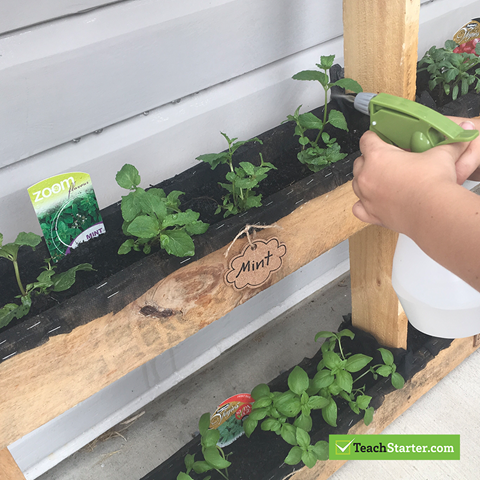 A fantastic hands-on classroom project that reconnects your students with the natural world and the true source of their food. It also teaches valuable gardening concepts and social responsibility. The perfect lunch for the busy teacher! 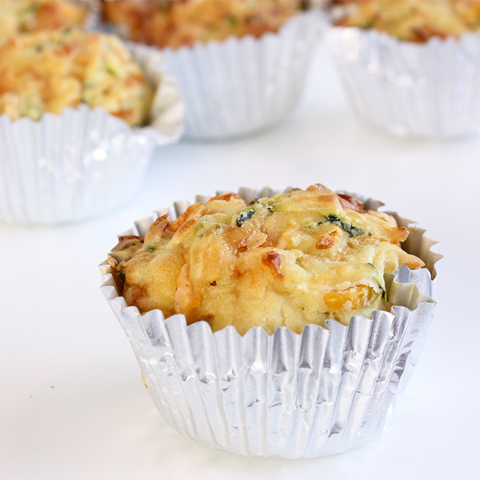 Make a batch of 12 and freeze them in pairs. Pull some out in the morning and by lunch time they will be defrosted and ready to devour. Yum! Our bright and fun Desk Mat - Lower Grades - Teal Starburst is featured in this photo. 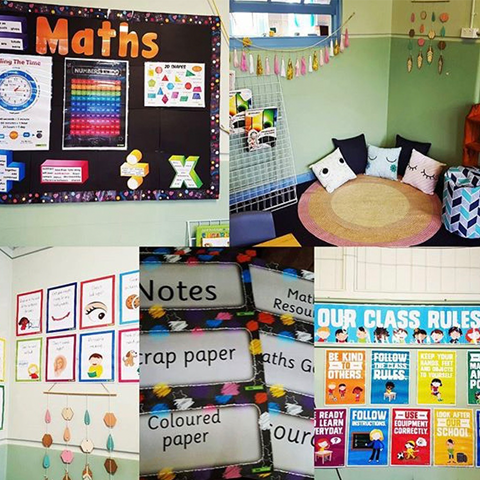 Some of our awesome resources featured in this photo include: Reading Strategy Posters , Our Class Rules Posters and Funky Chalkboard Classroom Theme Pack. 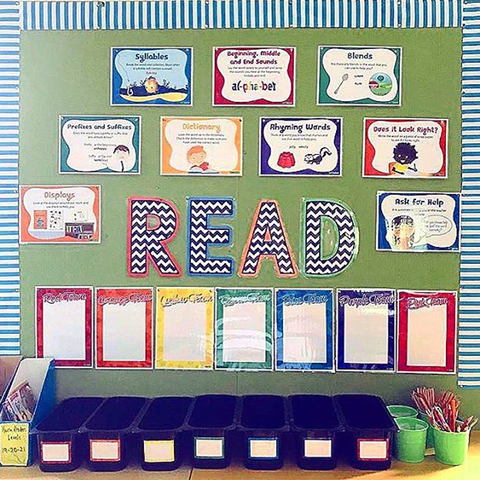 To re-create this amazing display use our colourful Spelling Strategies Posters and Grouping Posters - Colours. 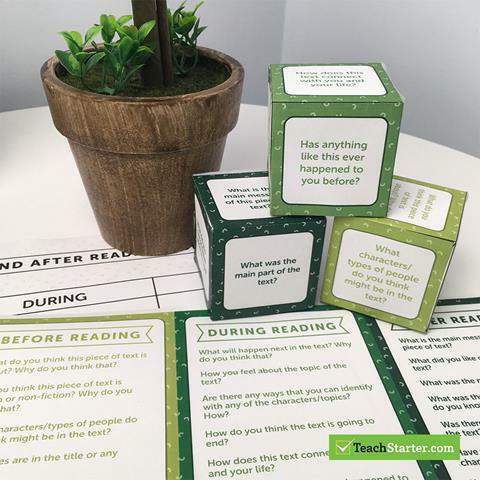 Teach Starter provides primary school teachers and parents with high-quality, printable teaching resources, classroom games & educational posters. You are receiving this email because you signed up for a Teach Starter account or subscribed to The Chalkboard mailing list.